March topic comes from Katie, the first who has completed our little Committed Reader program. Collecting 5 stickers for attending a regular monthly meetings allows Katie to come up with any subject that she wishes. 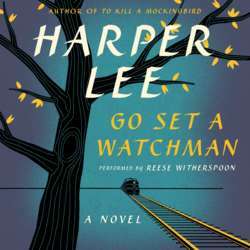 Her choice is Go set a watchman by Harper Lee. We all read the same book for March. Big thanks for Katie for a pick!